Welcome to Flat Iron Body. 7 *Free Reports* by a champion bodybuilder. All you need transform NOW. Building Muscle | Losing Weight | Cardio Workouts | Bicep Workouts | Tricep Workouts | Nutrition | Supplements. My name is Charles. I grew up in the Flatiron District in New York City and known for my Rapidly Ripped program and Flat Iron Ab Workout and Diet programs for busy men. 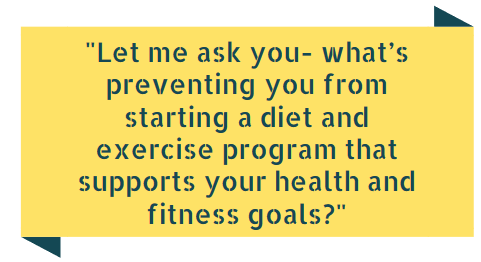 Let me ask you- what’s preventing you from starting a diet and exercise program that supports six pack abs and losing body fat? When it comes to eating the way we should, many of us claim that our lack of knowledge of workouts is what’s preventing us from following through with a structured plan. Let’s get honest with ourselves for a moment. A good diet and eating habits are fueled when you are properly motivated. Is our difficulty caused because we don’t understand nutrition? Or, does the challenge we face come from not following through with what we already know? Lack of knowledge of how to eat right could be our problem in some instances. Before I started bodybuilding many years ago, I actually thought that pizza, of all foods, was the “perfect” healthy meal. Can you believe that? It pains me to admit to have been so naïve when it comes to good nutrition—especially because I played sports my entire life and already had a decent body back then. The delivery truck from the local pizza parlor made visits to my home at least twice a week. I remember thinking, “Pizza is a complete, healthy meal! It has food items from the meat group, vegetable group, bread group, and the cheese comes from the dairy group”. Better to aim for lean muscle. But most of us who have been doing ab workouts at home for a few months have already acquired enough information to produce fat loss results- even good enough to build six pack abs. We may try to convince ourselves that our lack of knowledge of proper diet and home exercise is the primary culprit, but if we are honest with ourselves, we know it’s our lack of discipline that is the real problem. I certainly realize that eating delicious foods is one of life’s simplest and greatest pleasures. Sometimes, it’s very difficult to stay away from food that doesn’t support our diet health and fitness objectives. Great-tasting but unhealthy food often becomes too much of a temptation for us. Even when us husband’s and dad’s are committed to eating properly, it’s sometimes too difficult to break away from our busy schedules and eat our meals at all—whether they are good for us or not. Oftentimes, we simply fail to make a plan or regimented eating schedule. Deep inside, we believe that we probably aren’t as committed as we need to be to actually follow through on any plan we create anyway. It’s just much more convenient to blame our lack of knowledge. Now, I realize that there are dozens of diet and home fitness gurus out there telling you that they have discovered the most effective dumbbell workouts and fat loss strategies. 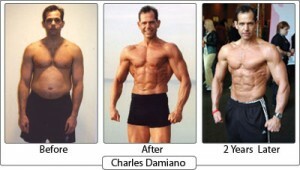 Each one claiming that their revolutionary workout program is scientifically-proven and makes the most sense. In reality, following through with any plan is more than likely better than following no plan at all. As a dad looking to get in shape, get honest with yourself. Commit to constructing a nutritional plan based on the knowledge you currently have. Understand that your level of commitment to burning fat and losing weight is far more important than any of the details of the eating program. Your kids look up to you and need you to be healthy and energetic. We can make adjustments and introduce the more effective diet strategies after we get ourselves accustomed to concentrating on the way we eat. 1. Commit to a starting date on your workout program. You must set a date and force yourself to begin. Deadlines can be uncomfortable at times but there’s little doubt that they get you to perform better and get you going sooner. 2. Commit to the number of meals that you’ll eat every day on your diet. Smaller, more frequent meals throughout the day are unquestionably more effective than fewer, larger ones. With your personal schedule constraints, determine exactly how many meals you will eat each day. Five or six meals throughout the day are ideal but do the best you can for right now. 3. Commit to the times during the day that you are going to eat those meals. Based on your schedule, plan in advance what times you will eat your meals. Try to space them out evenly. Make sure that you eat before and after your workouts. 4. Decide what healthy foods you are going to eat before you start your day. Keep your diet as simple as possible—especially as you are trying to establish the habit of eating properly. You may find it easier to eat the same foods during the week and then give yourself some variety during the weekend. 5. Decide the amount of each food you are going to eat during your meals. You don’t necessarily have to be exact when determining the amount of food you’ll eat at each meal at the beginning of your diet but you should at least have a rough idea. 6. Determine which days that you’ll strictly adhere to your diet–and which days you’ll ease up. We’re all striving for the best results from our efforts. You’ll feel good about what you are doing if you stick to your plan. That being said, it’s important that you determine in advance when you plan to stick to your diet and when you plan to back off a little. You might find it easier to eat in a strict manner during your work or school week and enjoy eating a little more freely on the weekends. 7. Commit to a certain length of time that you’ll stick to this program. Whether it’s three weeks or three months, you’ll need a certain length of time to learn the pros and cons of your diet. This will give you practical knowledge about your eating habits—instead of mere theories. Armed with this knowledge, you’ll be able to make any necessary adjustments with certainty and confidence. In order to stay on track with your healthy diet plan, you must recognize and successfully manage the emotional relationship between you and your current eating habits. You should schedule specific times and days in advance when you are going to eat certain not-so-healthy, delicious, and fattening meals or cheat meals. Use those cheat meals or cheat days as special “rewards” for being disciplined all week long or putting together a series of weeks of good eating habits. However, you shouldn’t use food as a reward for accomplishments in other areas of your life. You don’t want to create or strengthen an emotional link between your that type of success and fattening food. Also, you should try not to use delicious, not-so-healthy food to mask any emotional pain that you might be feeling due to challenges in other areas of your life. In other words, do not eat to make yourself feel better emotionally. A topic of frequent debate is whether it is possible to do ab exercises build quality muscle over time without accumulating excess body fat. Is it necessary to bulk up first—then put yourself through an extreme leaning out stage afterwards? Many people believe that adding excess weight—even if it isn’t healthy, attractive weight—is an unavoidable part of the muscle-building process. This isn’t necessarily true. Although eating excess food and carrying more body fat is one way to build muscle, if you are more disciplined in your approach, it is possible for you to add as much quality muscle with great ab workouts without gaining unwanted body fat in the process. As you might guess this process requires a certain level of consistency with good eating habits. To put things very simply, you must eat smaller more frequent meals. You must make sure those meals are in the proper proportion of protein, carbohydrates, and fat. You must pay close attention to pre-workout, post-workout, and those important meals within the three-hour post-workout window of muscle-building opportunity. When you want to build or maintain muscle mass, creatine supplementation is also suggested. After taking care of those factors, building muscle while keep your body fat level manageable comes down to doing them on a consistent basis and limiting the amount of other non-bodybuilding related calories in your diet. In other words, in order to build muscle without gaining unwanted body fat, you must watch your caloric intake and maintain a moderate level of calories so your body is not storing the excess as body fat. Although you are not “dieting” per se, you should avoid letting yourself believe you have a reason to overeat. The real question is how badly you want to stay lean while building muscle. Doing so is an every day; every week; and every month process. If I could only buy one supplement to help me reach my health and fitness goals, that one supplement would be whey protein. I don’t even consider whey protein a supplement—it’s a standard, everyday part of my daily diet. Whether I’m trying to build as much muscle as possible or keep my body fat levels manageable, whey protein helps me achieve all of my fitness objectives. high quality whey proteins such as isolates and concentrates with some ground flax are complete, nutritious and convenient meals—without the preparation and clean up time needed when you eat regular food. Pre packaged, they are already in the proper proportions of calories, protein, carbohydrates, and essential fat. In some regards, the protein powder is better than regular food because it provides high-quality nutrition with 100 percent of the vitamins and minerals my body needs to remain healthy. I’m able to get all of these vitamins and minerals in fewer calories than would be ingested with the equivalent amount of regular food. It’s relatively easy to eat all of your scheduled meals on time when your entire life revolves around your body. I should know. As an avid lifter for more than a decade, I had little trouble sticking to my regimented and time-consuming nutritional program. I convinced myself that being a bodybuilder was my identity. The level of my success depended on every one of the meals I ate every two hours. You don’t have to be a competitive bodybuilder to understand that good nutritional practices play a monumental role in whether or not you achieve your health and fitness goals. But if we do realize that the way we feel emotionally; look physically, and perform in the gym hinges on how well we feed ourselves, it is important, although challenging, to budget the time to eat into our busy lives. When you are trying to balance your training and eating habits with demands such as work, family, friends, and social events, you can’t always just stop and eat when you want. One way to make the job of eating properly much easier to handle is to plan ahead. Cook all of your meats for the day (such as chicken) at the beginning of the day. Also at the beginning of the day, start thawing (assuming they are frozen) all your vegetables and put them in plastic containers. Set aside all of the whey protein packets you plan to enjoy during the day along with a couple of shaker bottles. Start your day with a full gallon of bottled water and have it by your side everywhere you go. Take advantage of inexpensive and convenient storage containers available at your local grocery store. Assorted sizes of plastic containers and locking plastic bags work wonders when you are trying to cart around your food and supplements with you during the day. 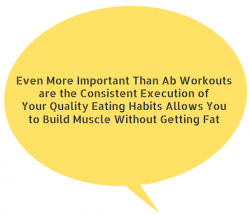 When it comes to eating the way you should to reach your health and fitness goals, desire , commitment, and the right strategy for ab workouts go a long way. Advanced planning at the beginning of your day, however, can augment what you are striving to do nicely.